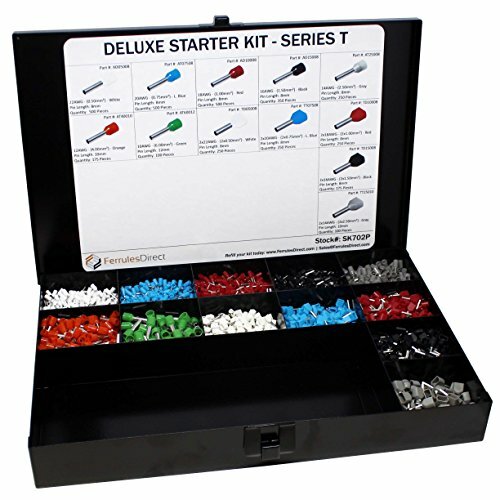 Deluxe Starter Kit - Insulated Wire Ferrules: 22, 20, 18, 16, 14, 12, and 10 AWG. Twin Wire Ferrules: 22, 20, 18, 16, and 14 AWG. 3450 pieces total without Square Profile Self Adjusting Crimping Tool. Encased in a heavy duty steel compartment box.